Drawing of a little boy practicing his cello playing. His audience consists of a younger girl and a skinny dog. 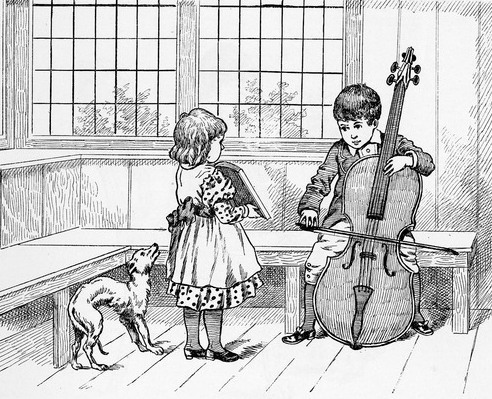 Anyone looking for a picture of a child practicing their instrument or a cute music image might find this public domain image useful.